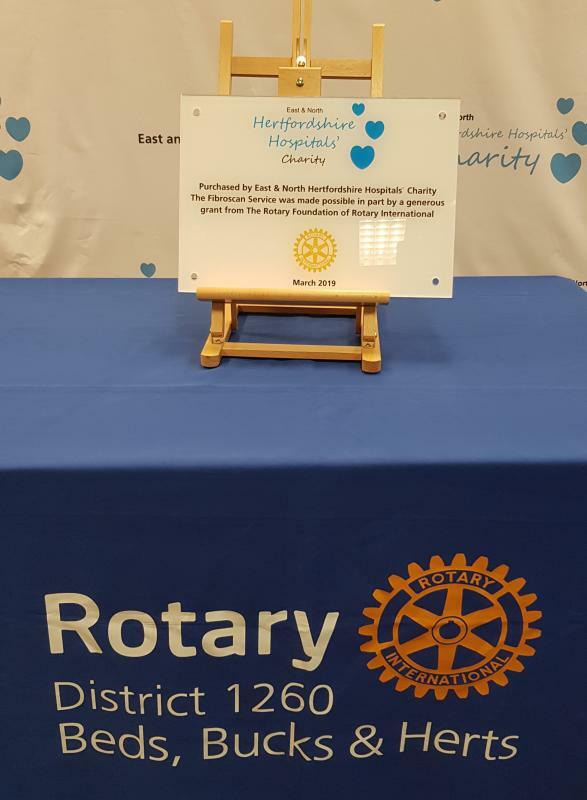 A fantastic night last night for Rotary District 1260 in Beds, Bucks and Herts, after only a short few months we were able to present a Fibroscanner to East & North Hertfordshire Hospitals' Charity, based out of the Lister Hospital. Until now patients have had to under go a painful biopsy to check on the level of damage to their liver. This means they take up a bed and a nurse's time for quite a while. 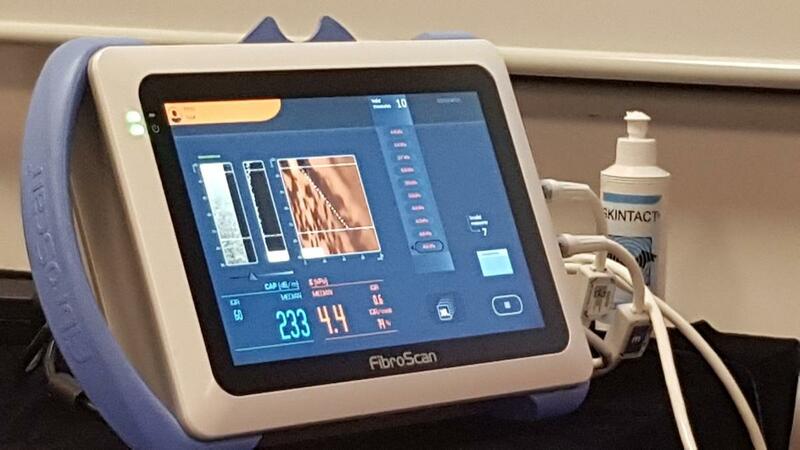 With the new Fibroscanner, they only have to undergo a painless scan, like an Ultrasound, taking only 10 to 15 minutes. 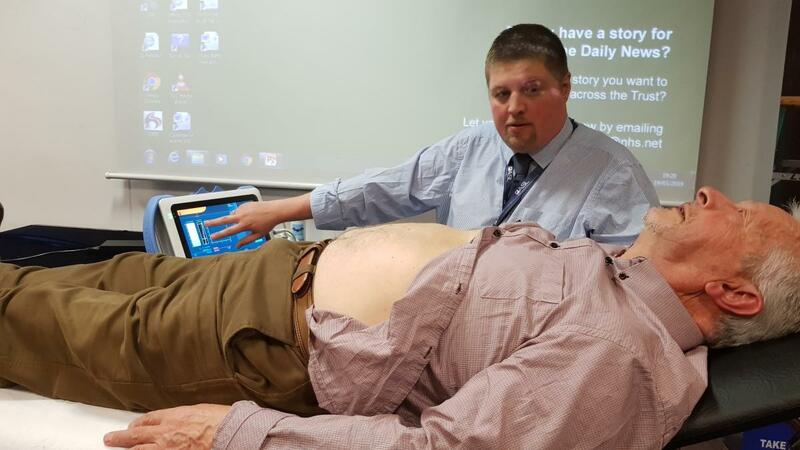 This can be done as an out patient or even at a Doctors surgery as the unit is very portable. 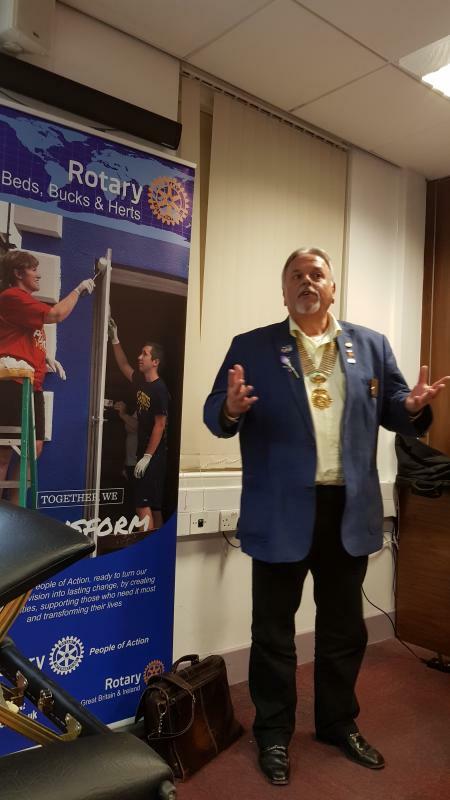 Rotary in Beds, Bucks and Herts has been able to make this happen by the generous contributions from over two thirds of the clubs in our area, the Rotary Club of Gandavi, India together with donations from other Rotary Districts in Scotland, India and Australia. 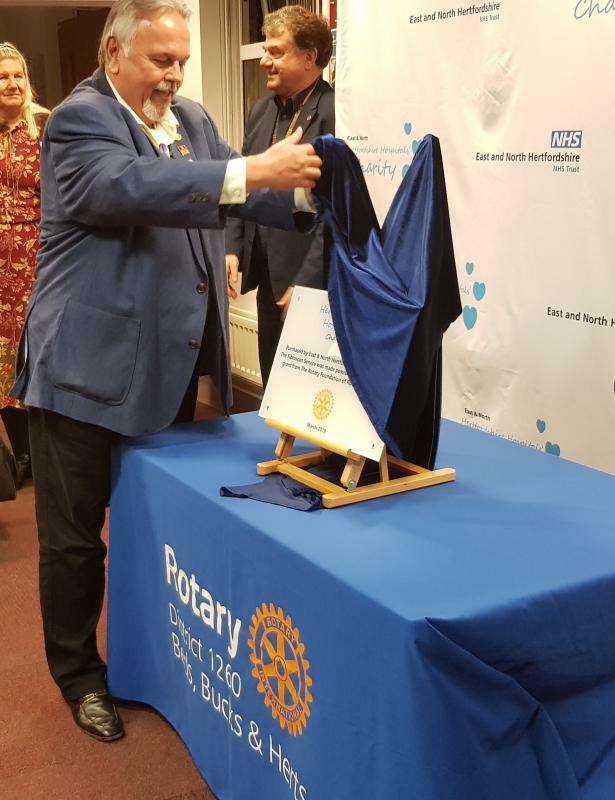 All this was matched by the Rotary Foundation to make up to the total amount needed to cover the cost of the Fibroscanner together with training and maintenance costs. All this started by one phone call from a Consultant Hepatologist to a Rotarian patient. It's amazing what we can do when we all work together! 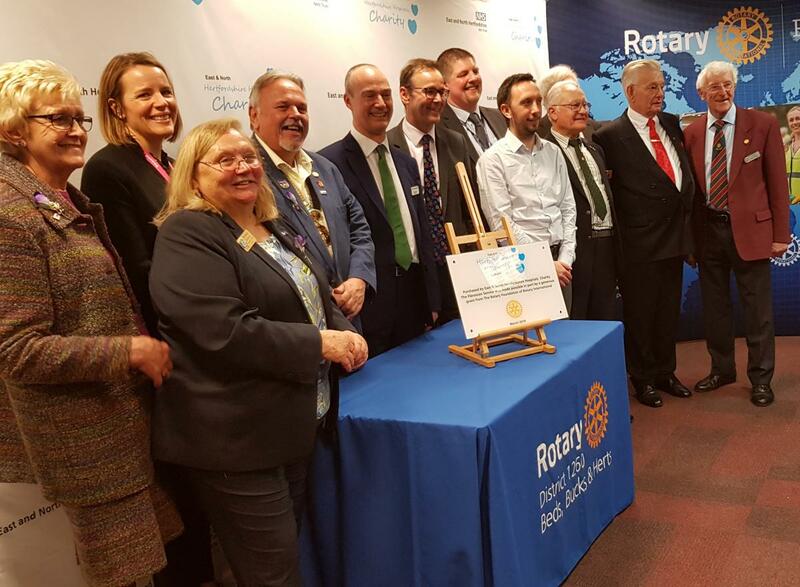 Rotary in Amersham, Ampthill & District Rotary Club, Amwell Rotary Club, Rotary in Baldock, Barton-Le-Clay, Berkhamsted Rotary, Biggleswade Rotary, Biggleswade Ivel Rotary, Brookmans Park Rotary Club, Rotary Club of Buckingham, Rotary Club of Chesham, The Rotary Club of Dunstable, Great Missenden Rotary, Harpenden Village Rotary, Rotary Hatfield, Rotary Club of Hemel Hempstead, Hertford Rotary, Hertford Shires Rotary, Hitchin Rotary, Hitchin Priory Rotary, Hitchi Mimram Rotary, Hitchin Tilehouse Rotary Club, Hoddesdon Rotary Club, Leighton Linslade Rotary Club, Rotary Club of Letchworth Garden City, Letchworth Howard Rotary, Rotary Luton, Luton North Rotary Club, Milton Keynes Grand Union Rotary Club, Potters Bar Rotary Club, Rickmansworth Rotary, Royston Rotary, Rotary Club of Sandy, St Albans Rotary, Rotary Club of St Albans Priory, Rotary Club of St Albans Verulamium, Stevenage Rotary, Rotary Stevenage Grange, Welwyn Garden City Rotary, Rotary Club of Wendover and District, Winslow Rotary Club, Rotary Club of Gandavi, D3060 India, RotaryDistrict1230 Scotland, RI District 3060 India and Rotary District 9675.